Danny Ching has defeated 10x World Champion Jamie Mitchell and as a host of other world class paddlers to win the “SUP Cup” Elite Race @ the 2012 H2O Overdrive Summer Seriesin Park City, Utah. Ching finished 40 seconds ahead of Mitchell over the 5 mile course, while the rest of the Top 15 was a virtual who’s who of Stand Up Paddle racing (and this is despite the event being held the same weekend as Molokai…). Other top performers included Ryan Helm, who finished just seconds behind Mitchell to climb onto the podium, Jay Wild, Chase Kosterlitz, Rob Rojas, Byron Kurt, Thomas Maximus, Jim Terrell, and several other elite SUP racers. The women’s race was hotly contested as well, with Brandi Baksic taking the win ahead of rivals Candice Appleby (2nd) and the Queen of Waikiki, Gillian Gibree (3rd). 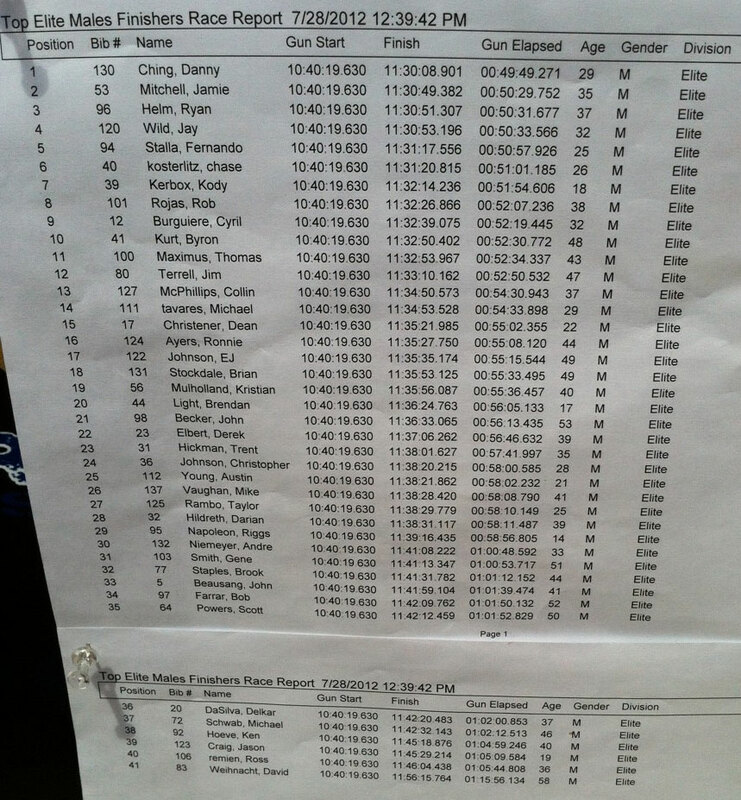 Take a look at the SUP Cup Elite Men’s Race results print-out below, and check back shortly for complete results from the H2O Overdrive Summer Series weekend (plus plenty of photos and videos of the action).